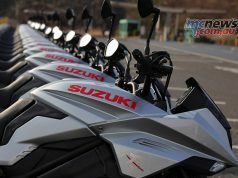 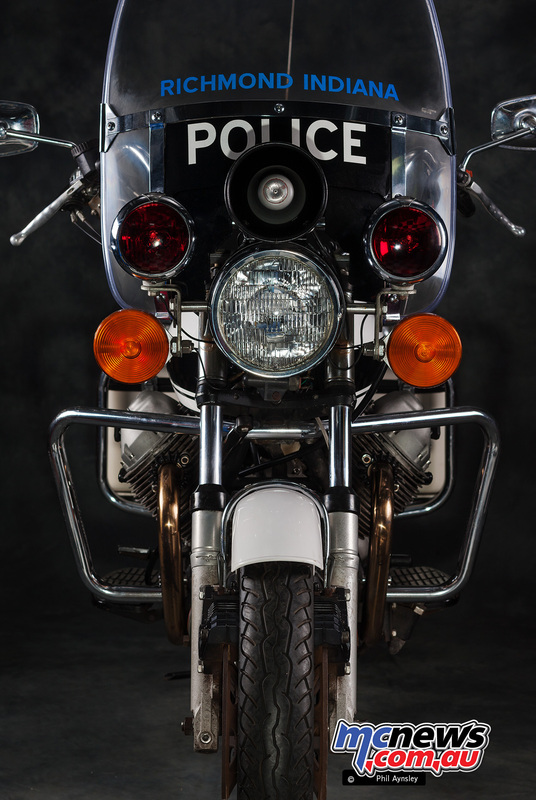 Many motorcycle companies have produced versions of their bikes for use by the military or police forces over the years. 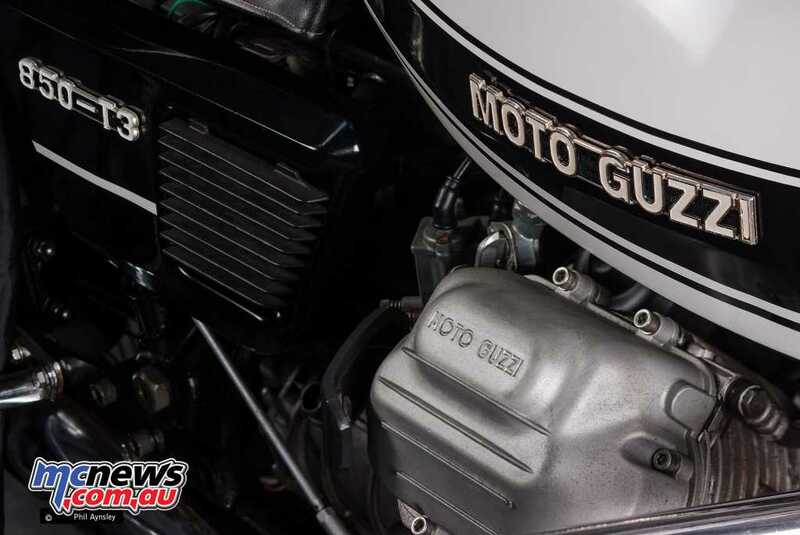 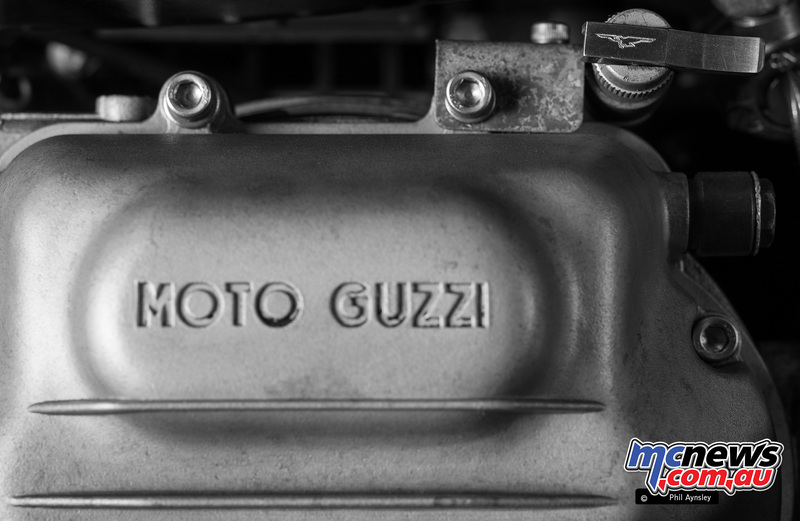 Moto Guzzi has had a long history of doing so with both its singles and later V-twins. 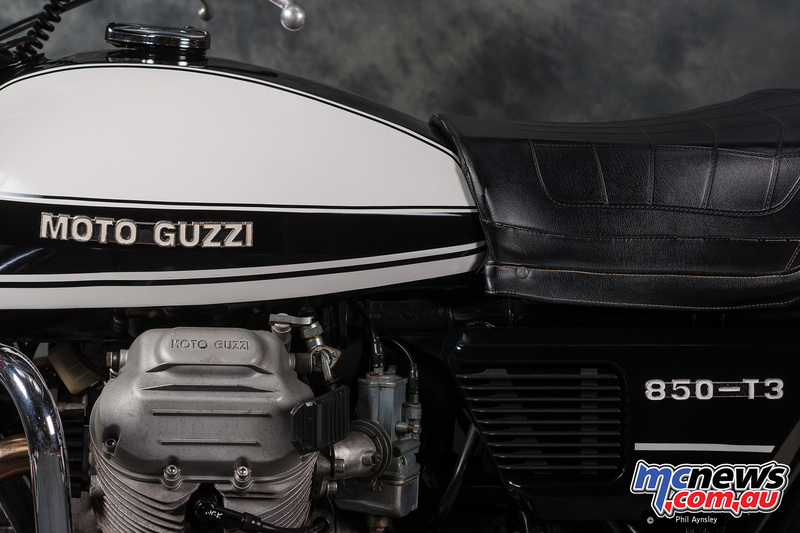 It wasn’t until the late ‘60s however that they began exporting to the USA in any numbers. The US Guzzi importers, Berliner Motor Corporation, supplied two 700cc V7s for evaluation in Los Angeles in early 1968. 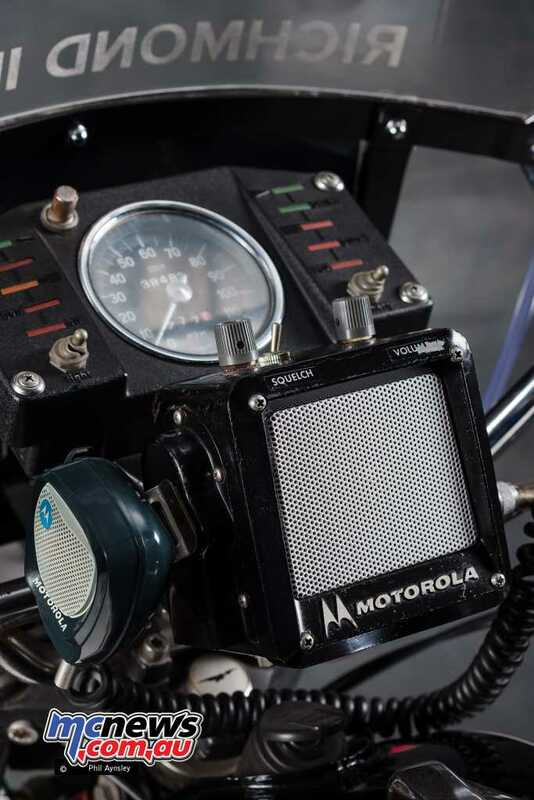 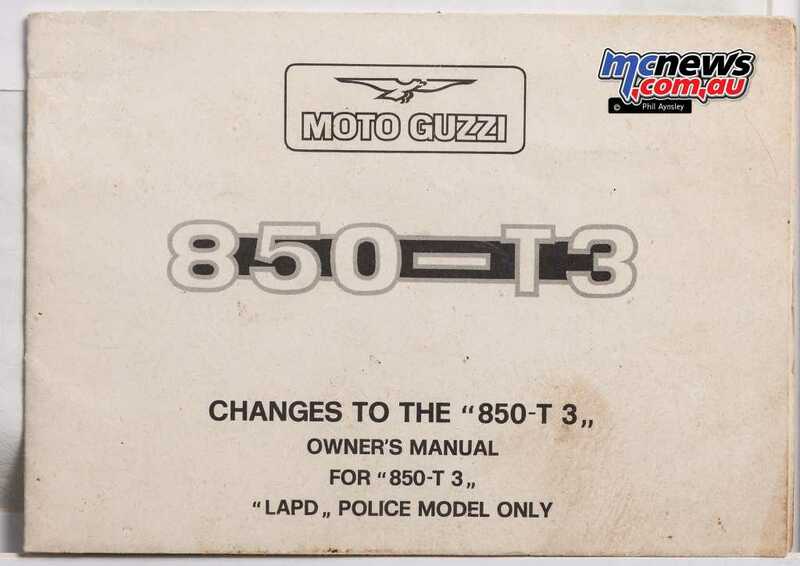 This resulted in an LAPD officer being sent to Mandello to oversee the construction of ten 750cc V7 bikes for use in the Traffic Enforcement Division. 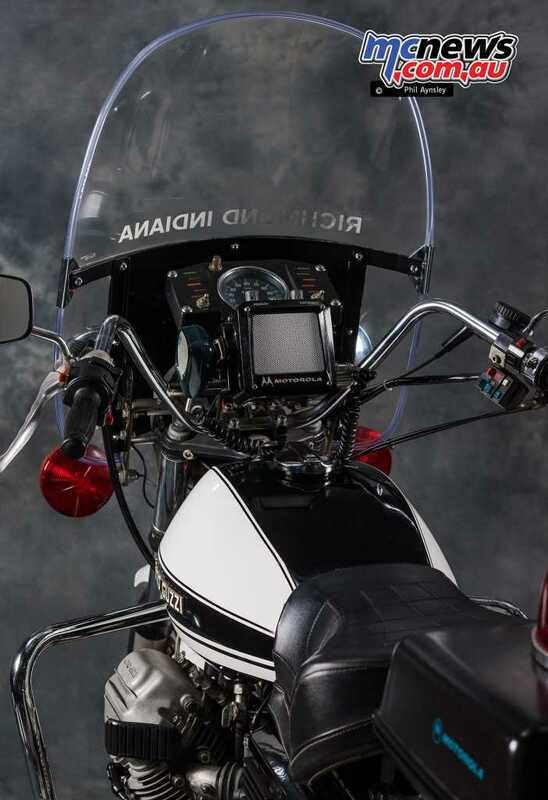 LAPD specific requirements included a spring-loaded side stand that could be operated from the single seat, footboards, left side gear change, a bullet-proof Lexan screen plus siren, radio and extra lights. The required time of 16 seconds for the standing quarter mile was easily bettered with a 14.3s time. 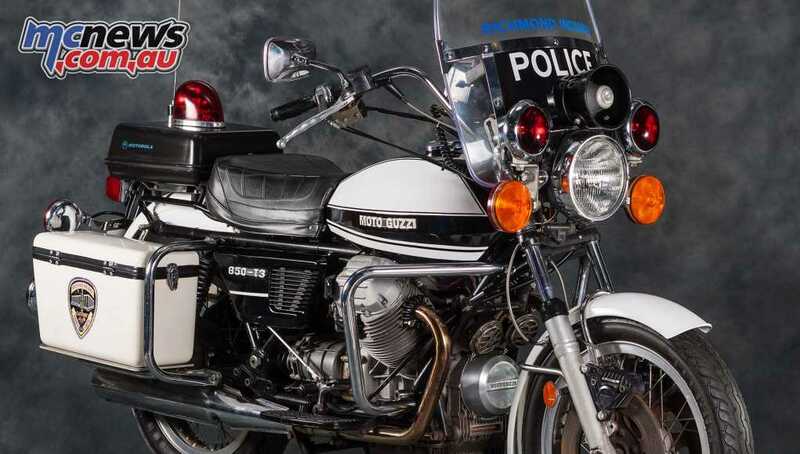 With the 750 V7s proving themselves very popular with the LAPD, it wasn’t long before other police departments (most famously the California Highway Patrol) also ordered V7s. The 850 T was introduced in 1974 and was followed by the T3 a year later, with the T standing for Turismo and 3 denoting the three disc brakes fitted. 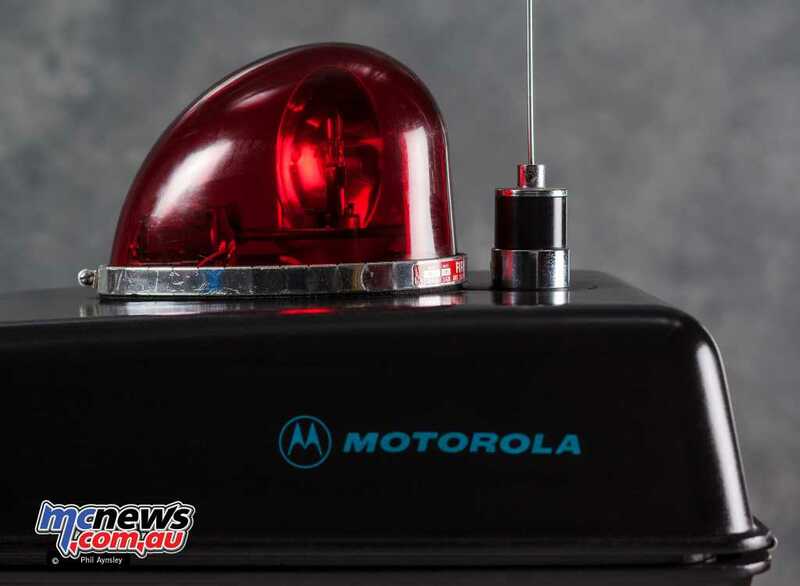 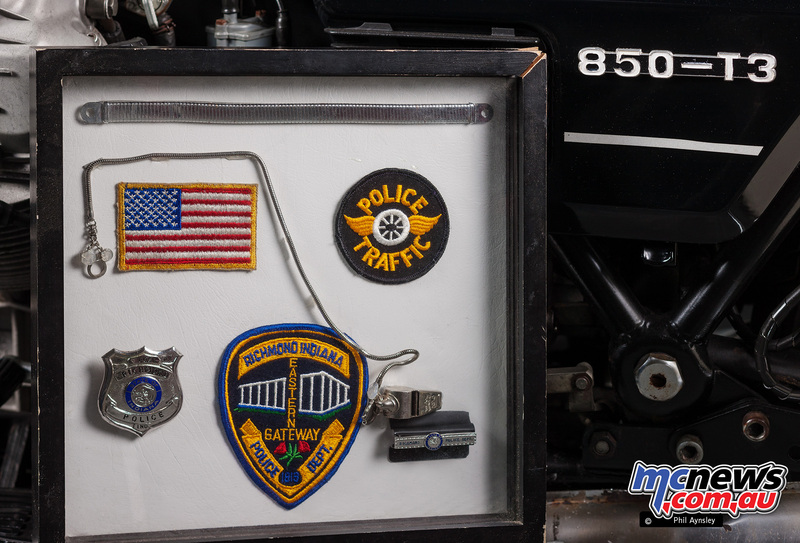 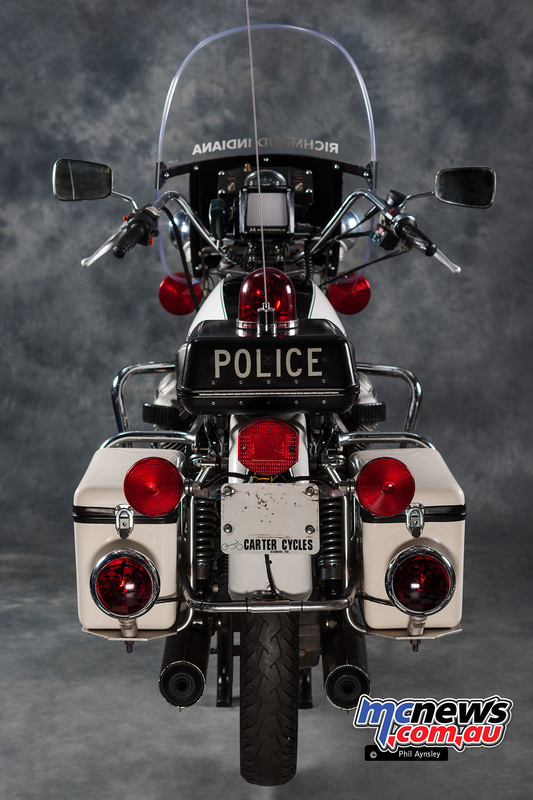 The factory now supplied a 850 T3 LAPD model to American police forces which had become a major market. This is one of the two 850 T3 LAPD bikes purchased by the Richmond, Indiana Police Department in 1976 (interestingly two Hondas were also bought at the same time). 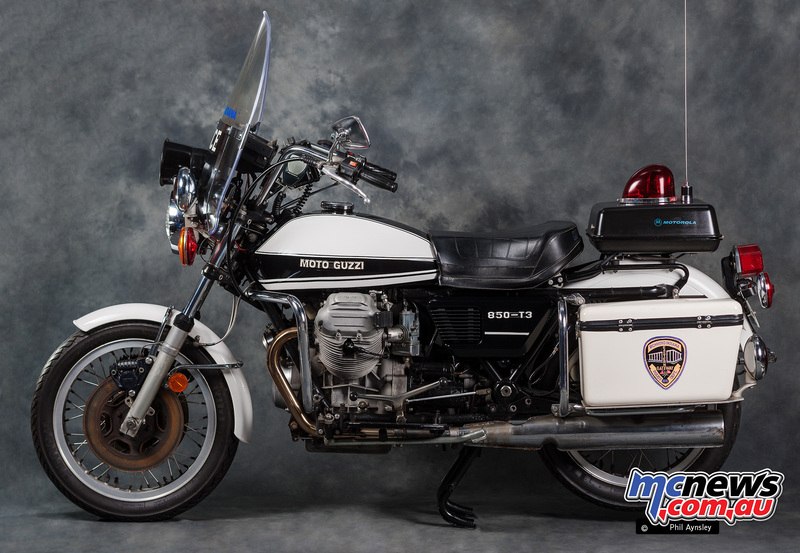 Apart from having the radio internals removed and having replica pannier decals, the bike is still in the condition it was retired in (the early ‘80s). 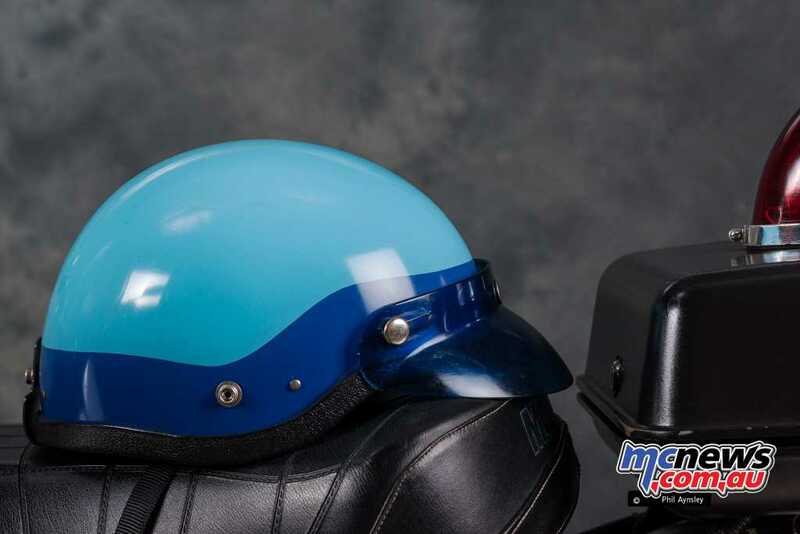 The associated police helmet, patches, together with the factory LAPD supplement to the manual, have also been retained. 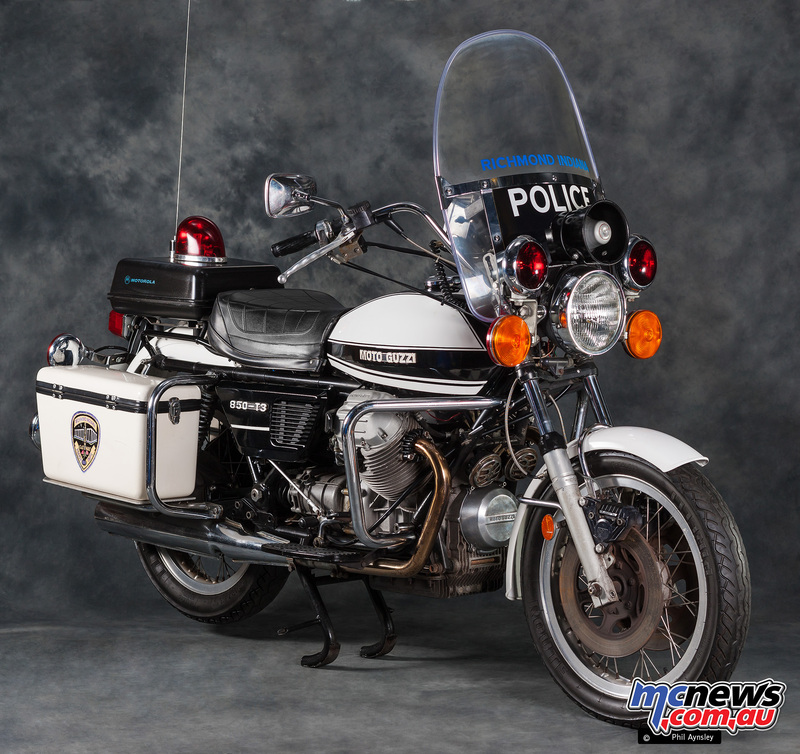 The bike now resides in NSW.